Start the next chapter with your loved one in a truly unique and romantic setting, surrounded by friends, family and a stunning, 360-degree view of Melbourne and the bay. Saying “I do” as the earth falls away below, you’ll know what it feels like to be on top of the world. If you’re looking to do something different for your big day, make a grand statement; exchange vows as you rise over the city on the glittering giant that is the Melbourne Star. Conditions for the ceremony are always perfect inside the temperature-controlled cabins, and from a vantage point high above the city, photos of your magical moments promise to be spectacular. Whether you’re after a simple, intimate ceremony with classic flowers, or a catered gathering complete with sparkling wine and canapés, the team at the Melbourne Star will work with you to bring your special day to life. In addition to a ceremony in the sky, you could also host a fully catered function in one of our event spaces after you disembark. 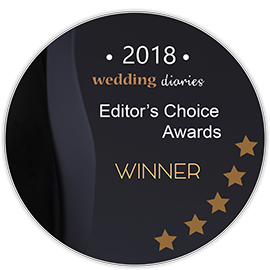 Our highly experienced marriage celebrant has been guiding couples through their nuptials for more than a decade, presiding over hundreds of beautiful weddings with a relaxed and fun approach to planning and conducting each special ceremony. We guarantee that even after you disembark, your feet won’t touch the ground. Contact us to find out how we can help to plan your wedding at the Melbourne Star. We have received your email and a member of our team will be in touch. We appreciate the opportunity of welcoming you and your guests to the Melbourne Star Observation Wheel.